Painter Stephen Estrada transitioned from a having career in museum administration to being a self-employed artist seeking to have his work exhibited in museums. We spoke about the process and what he’s learned. Artist Stephen Estrada in his studio. What is your background in the museum field? I’ve worked in almost every aspect of the museum field. When I was starting out as an artist in Boston, I did carpentry to pay the bills. After moving to DC I was a cabinet-maker at the Smithsonian’s American Art Museum. I moved on to become exhibition designer at the Renwick Gallery and the National Archives, managed exhibition design at the National Air and Space Museum and was coordinator and director of a new start up museum at the State Department. There I worked with six current and former Secretaries of State to help create the US Diplomacy Center and Museum. It was a great experience to go from hands-on exhibits to designing and planning a new museum. Being an artist was invaluable background. It taught me that creativity and risk-taking are critical to success, no matter what field you’re in. How was the transition from your career as a museum administrator back to being a full-time artist? I was gearing up in the studio for several years and was lucky to have three shows scheduled when I left my museum job. There was no let down in routine, but it was a little less hectic and a pleasure to be able focus on the studio. What in your museum experience informs you about the process of artists getting accepted for inclusion into museums or museum shows? Working in museums gave me insights but certainly no advantages when it comes to getting my own shows! It really comes down to having a track record of exhibitions, a strong body of work and regularly putting yourself out there. There are now many avenues to making one’s art accessible. 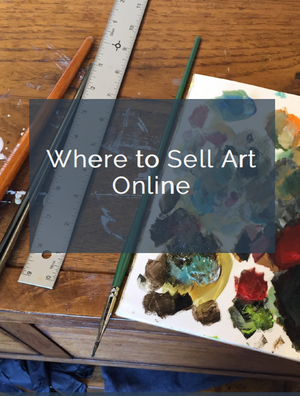 Whether it’s a museum or gallery show, a web presence, or being active on social media, persistence and a coherent body of work are essential. “Pacific Dreams” oil on linen, 72″ x 60″ by Stephen Estrada. Could you describe the emotional affect (on your self-confidence, for example), and what you experienced as you began to market and look for opportunities as a working artist? Early in my career, a major fire destroyed my studio along with those of about 100 other artists. Afterwards, I came to Washington DC to attend the Corcoran School of Art. It was a difficult time but I learned about resilience and perseverance. Starting out I experimented a lot and didn’t have a clear focus for my work. Taking criticism and rejection was especially hard, but it’s part of the learning process. Several years ago, I had meetings in Los Angeles and San Francisco. As I made my way down the Pacific Coast Highway, I rediscovered places I’d explored while growing up in California. Returning to my studio, I found one of the few paintings that survived the fire, a surfer skidding down a big green wave I’d done ages ago, (literally!) in high school. I thought to myself, “This is what I love! Why am I not painting it?” Thus began my current body of work. For sources I’ve gone to the Gulf Coast where my daughters and I helped rebuild houses after Hurricane Katrina; the Caribbean which is both beautiful and historically haunting; along the Chesapeake where natural and man-made forces are inexorably altering the landscape; and out west to paint the ocean and deserts I explored as a kid. Having a sense of focus was critical to gaining confidence and putting my work out there. As I continue to seek opportunities, painting is my voice for sharing my experiences. It is also my way to express both the power and fragility of the natural environment. What resources did you use, and how did you decide on a pathway? I read a lot and continually tried to learn from other artists’ experiences. When I had a body of work that I felt hung together, I began casting out for exhibition opportunities, first locally and then farther afield. Several resources were useful: Artsy Shark was great in terms of marketing advice. I scoured Benny Shaboy’s Art Opportunities Monthly (AOM) to find local and national calls for entry. NY art writer Katharine Carter’s book, Accelerating on the Curves, was an excellent career guide; and blogs such as RedDotBlog by Scottsdale’s Xanadu Gallery owner, Jason Horejs, were thoughtful and timely. What advice or insights can you share with other artists who would also like to have their work in museum shows? There are many opportunities for artists to achieve recognition and sales. Museum shows are just one aspect. Having a consistent track record of curated exhibitions in well-regarded commercial, nonprofit or university galleries is a good step. Stay in touch with curators or writers you’ve met along the way. As they rise in their profession they’ll remember artists they admire and who are professional. Don’t skimp on presentation materials and installation photos. These are your calling cards for future shows. Finally, growing a community of artists and supporters is critically important. As I transitioned from the bustle of a full time museum job to the solitude of the studio I was grateful for the artists, family members and friends who provided support and constructive criticism as I continue to grow in my career. This was very interesting and informative. Beautiful artwork too!